This occurred at the Main Event of PokerStars Championship Barcelona was nearing the end and when the big money was in view of the final contestants. Leonard and his table talk generated some form of controversies which were caught on by fans and commentators who were performing live streaming of the events. 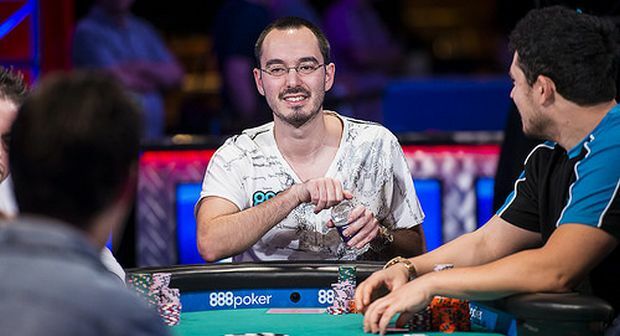 Leonard has been an ambassador of party poker and his resume in professional poker includes a win of two million in total from the tournament earnings he has had. As per the controversy that generated, there was a video clip captured which caught Daniel Negreanu’s attention. He put it up on a poll which did not thrill Leonard much. The topic was about Leonardo’s strategy regarding table talk and whether he was shooting at an angle by the kind of comments he was making. All such talk definitely set the discussion boards on fire and it could not have been easy for Leonard to focus on his game, especially when the final laps were nearing. He retorted back to Negreanu and the comments went back and forth; finally, as luck would have it, they ended up meeting face to face at the elevator shortly after. This too was showcased on Twitter and hence, it was like a live play being shown which definitely added spice to the final table event.